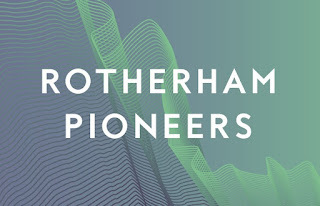 The chairman of Xeros was guest-of-honour at the opening of a new state-of-the-art facility in China which will help the innovative Rotherham company meet increasing demand in the US. Xeros' manufacturing partner is Jiangsu Sea-lion Machinery Group, known as "Sea-lion," one of the largest-scale manufacturers of commercial washing machines in China. John Samuel, chairman of Xeros Technology Group plc, delivered the guest key note speech to support the opening of Sea-lion's state-of-the-art new facility in Jiangsu Province. Xeros said that the event reaffirmed the commitment of the Sea-lion to helping Xeros expand its global footprint in commercial laundry. 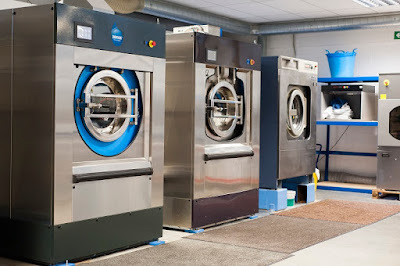 It is the billion dollar US laundry market that is the major target for Xeros, which has now seen 54 installations of its system with a further 69 committed to be installed. The group signed up 61 partners to its US reseller model during the biennial industry Clean Show in Atlanta, with forward channel partners taking advantage of water scarcity and water cost issues and bouyed by the financial incentives on offer from major utility companies. With R&D taking place on the AMP, Xeros machines are made by Sea-lion in China. The new 300,000 sq ft facility, in Zhangjiagang City, boasts state-of-the-art equipment and manufacturing processes which will manufacture the machines to support Xeros' growing commercial laundry footprint in the US. Xeros' chairman John Samuel, and global head of commercial laundry, Jonathan Benjamin, were VIP guests at the opening ceremony, marking the close partnership between the two companies. The occasion was attended by Chen Youqi, the founder and honorary chairman of Sea-lion; chairman Chen Hong; Huang Xueyuan, vice mayor of Zhangjiagang City and more than 400 guests. John Samuel, chairman of Xeros, said: "We were delighted to support this landmark event at Sea-lion. It reflects the ever deepening commitment from a key supply chain partner to respond to the increasing demand from our customers in US Commercial Laundry. This increased production capability is particularly timely given our recently announced national network of Forward Channel Partners we have established across the US. "We look forward to continuing to work with Sea-lion, and with our Forward Channel Partners in the US itself, to install more machines both in the US and beyond."